Extra Pounds (Birth Attribute) User Loses 5 Maneuverability points but gains +75 Stamina onto their Stats Page, this Bonus is lost when the Birthright is changed/lost. Multi-Size Technique (50 Chakra, Passive) "Bullet Tank" Skills Deal +50 Life Damage. User takes -100 Life Damage From All Skills. User Receives +100 Damage from Sound Skills. Lasts 3 Turns. Can't Interrupt. Can't Stack. Boulder Sized (Attribute) If a Bullet Tank is Avoided, the Technique will Cost -25 Next Turn. This Reducer does not Stack. Human Bullet Tank (25 Stamina, 50 Chakra) Multi-Hit 100 Life Damage. Can't Guard/Interrupt. Human Sphere Rotation (25 Stamina, 25 Chakra) Interrupts one Technique aimed at the user's. Partial Multi-Size Technique (75 Chakra, Passive) One Taijutsu Skill Deals +50 Life Damage and has +2 Range. Lasts 1 Turn. Can only be used three times every five turns. Spiked Human Bullet Tank (50 Stamina,100 Chakra,### Throwing items) Multi-Hit 200+### Life Damage. Can't Guard/Interrupt. 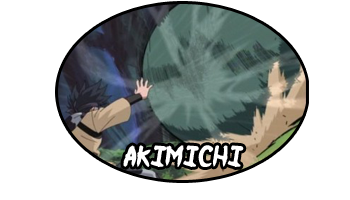 If Blocked by a Taijutsu Skill, the Blocker still receives Item Damage. Second Stomach (Passive) Allows the Akimichi Owner to consume one more healing item this turn without it costing a move slot. Once per battle. Super Multi-Size Technique (200 Chakra, Passive) All Taijutsu used on this turn gain +300. -Roll Acceleration (50 Chakra, Passive) Increases the Range up by 2 for a "Bullet Tank" Technique. The Technique gains "Can't be Dodged". Can Only Be Used Twice Every 5 Turns. Butterfly Chakra Wings (200 Chakra,passive) This Enables all Butterfly Techniques, the Player will now be able to turn their Chakra into Life Damage by adding it into the Taijutsu Cost,Limit is 200. This is automatically activated for free if the Curry Pill is Taken. Butterfly-Bomb Bombardment (100 Stamina +### Chakra) 300 Life Damage, The player may add the rest of its Chakra to this Attack's Damage. Inevitable,once per battle. *Butterfly Damaging Fervent Throw (250 Stamina) 400 Life Damage. Throw an Opponent up to 5 Squares into the Air. They will Automatically be in Free-Fall during this Time. Opponent is Slowed for 2 Turns when they reach Ground Level, however the Opponent may pay 200 Chakra to Negate this Effect. Inevitable. Once per Battle. Notes: *=The Opponent cannot Maneuver while they are in Free-Fall during this Time.